If you are looking for a unique scuba diving vacations or discover new water sports, Club Med is perfect for you. Dive into the world of diversity and discovery. 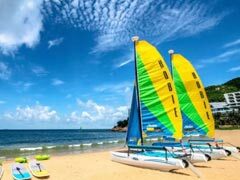 Experience a whole range of water sports: sailing, windsurfing, water-ski & much more. Who has never dreamt of controlling the wind and waves ? Club Med invites you to sail in over 30 different Resorts. 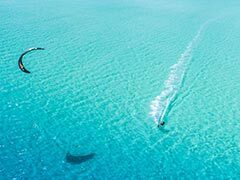 Come and sail with us on monohulls or catamarans, whether you're a first-time sailor or an accomplished skipper. From 11 years old. For every level. In groups or solo depending on your level. Lessons included. With state-of-the-art equipment and qualified instructors, discover an incredible aquatic paradise. 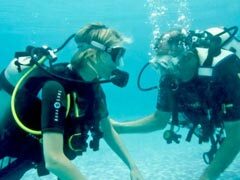 Your children can also enjoy the wonders of the underwater world in total safety with our ""First dive"" packages. From 8 years old. For first timers and experienced divers. Dive with a group or alone for the advanced divers*. (*activity at extra cost). Experience new sensations during your all-inclusive vacation! Just imagine, the sun has barely risen on horizon - You are enjoying the water, free from any land constraints, feeling the fresh sea wind. 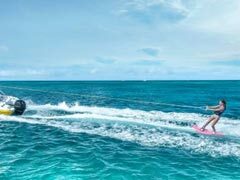 It's the great pleasure of both Water-skiing and Wake-boarding, two perfect activities to get into board sports. (*activity at extra cost). Whether you call it kiteboarding or kitesurfing, here at Club Med we offer private or group kitesurfing lessons. Kitesurfing is a one of a kind sport that will leave you wanting more, call us today to see why kitesurfing has been growing in popularity. 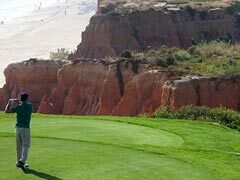 Enjoy this activity during your vacation with us! (*Available at certain resorts only, at extra cost). AND MANY MORE WATER SPORTS INCLUDED! Take advantage of your all-inclusive vacation to try new sports and activities! Paddle board, windsurfing, canoe, surf... Everyone can try. Paddle board. Windsurfing and Funboarding. Surf & kitesurf (at extra cost). Canoeing & kayaking. Swimming. Water polo. Aquafitness. Discover a new sport, purely for pleasure or to make real progress and boost your skills. 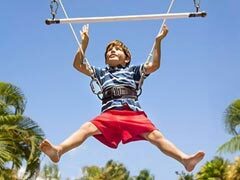 A Club Med holiday also means a great variety of sports to choose from! With specialist GO's to teach you, you can do your favourite sports with top quality equipment, and your lessons are included in your package! Great programs from beginners and advanced levels. Innovative programs for all ages, professional instruction and great facilities provide you a great opportunity to develop your complete tennis game while enjoying an all-inclusive vacation. FOR ALL LEVELS. And we love them all! Make the most of your all-inclusive vacation at Club Med! 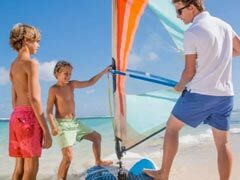 Club Med offers a host of land sports from horseback riding and flying trapeze to hiking, something for all levels, ages and taste. Archery. Fitness, Yoga, weight and cardio training. Climbing. Horse-back riding (*at extra cost). Mountain biking, Nordic walking, hiking, Badminton & Squash. Bocce ball (pétanque). Beach volleyball, Basketball, Beach soccer, Volleyball, Football, Mini-football. Nordics walking. Snow mountain biking. Dog-sledding. Ice skating*. Bob sleighing. *At extra cost. 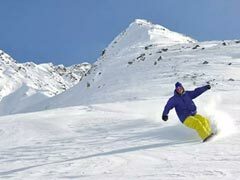 It's no wonder why the Alps are one of the most popular ski destinations in the world. 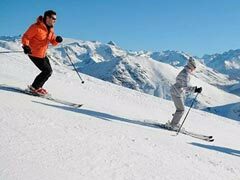 Stretching approximately 1200 kilometres/750 miles, the Alps stretch across 8 countries. 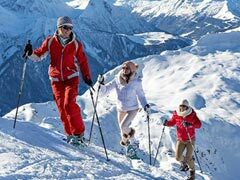 All our 20 Club Med ski resorts in the Alps offer the perfect opportunity to experience everything that winter sports have to offer, when and how it suits you.